Bishop Mitchell G. Taylor is highly recognized in the Long Island City community and has received a number of awards and accolades. 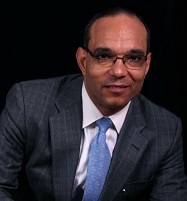 He has been recognized for his community leadership by creating a true alliance of local religious leaders, government officials, educators, business owners, and residents to expand the economic impact and build prosperity for over 30,000 residents living in the Queensbridge, Ravenswood, Astoria, and Woodside publish housing developments. His proudest moment in the community is receiving the charter for Urban Upbound Federal Credit Union. The awards and selections below highlights his leadership and the work he has accomplished along the way in the Long Island City community. The Brooke Russell Astor Award was established in 1987, as part of a generous endowment gift to The New York Public Library from David Rockefeller. Mr. Rockefeller’s gift is a tribute to Mrs. Astor’s continued commitment to supporting the role of individuals who improve the quality of life in New York City. Given annually, the Brooke Russell Astor Award honors an unsung hero or heroine, someone whose unrelenting efforts and tireless dedication to this city have contributed substantially to its betterment. Nominations for the 2008 Brooke Russell Astor Award were solicited from over 400 individuals and organizations, including cultural groups, universities, foundations, elected officials, community groups, and social service agencies. The selection committee includes representatives from the cultural, academic, government, and social service communities of New York. In celebration of Black History Month and to commemorate the legacy of the Reverend Dr. Martin Luther King Jr., and his dream of peaceful co-existence between people of diverse religious, cultural, and ethnic backgrounds the award honors those individuals who embody the spirit and ideals of Dr. King in their efforts to promote diversity and tolerance. A performance-driven organizational investment opportunity for seasoned executive directors and senior staff of nonprofit organizations. Through NeighborWorks America’s collaboration with a prestigious university partner and with lead program architect Douglas K. Smith, organizational performance and learning expert and author of Make Success Measurable!, participants are privileged to take part in a performance program unlike any other — one that assists the participants in taking their skills and knowledge to a level they may not have thought possible. Designed exclusively for Executive Directors of 501(c)(3) organizations serving New York City, the Executive Fellows program combines individual 360-degree assessment, peer sharing and learning, exposure to subject matter experts, coaching and individual skills enhancement in a safe confidential environment. Executives observe changes in their perception and behavior as well as focus on building their talents and capitalizing on their strengths.